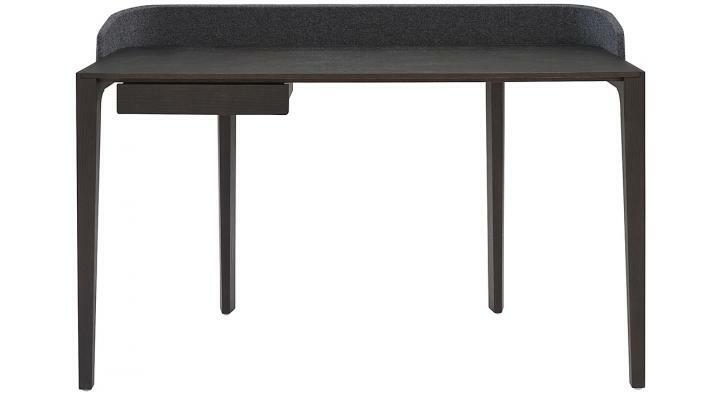 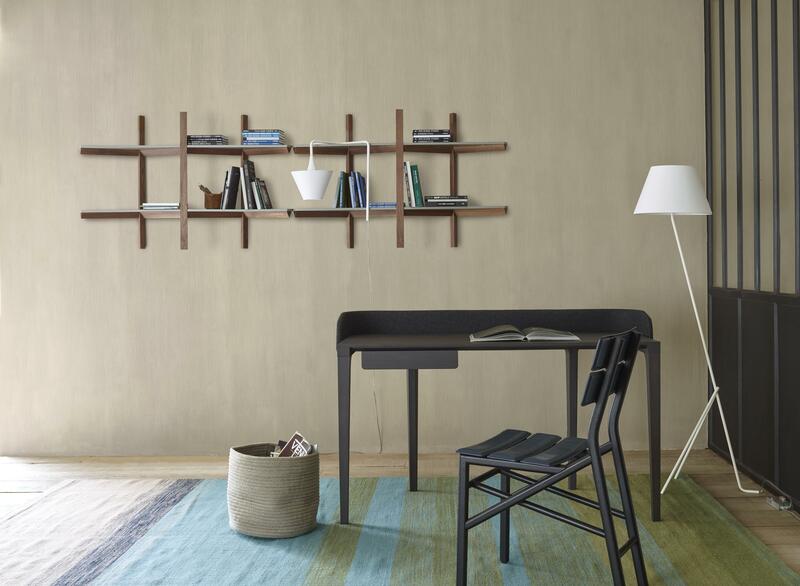 Base in solid anthracite-stained ash, solid oak top finished in anthracite-stained sawn oak veneer. 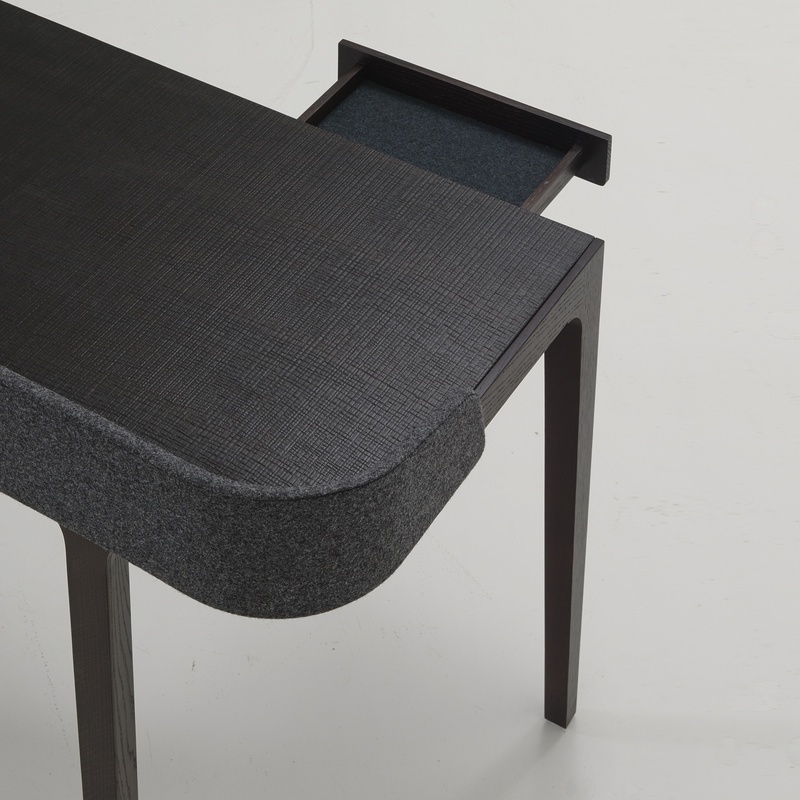 The rear return of the desk is clad in foam and upholstered in DIVINA graphite M180 (NB cover is not removable, despite the presence of a zip). 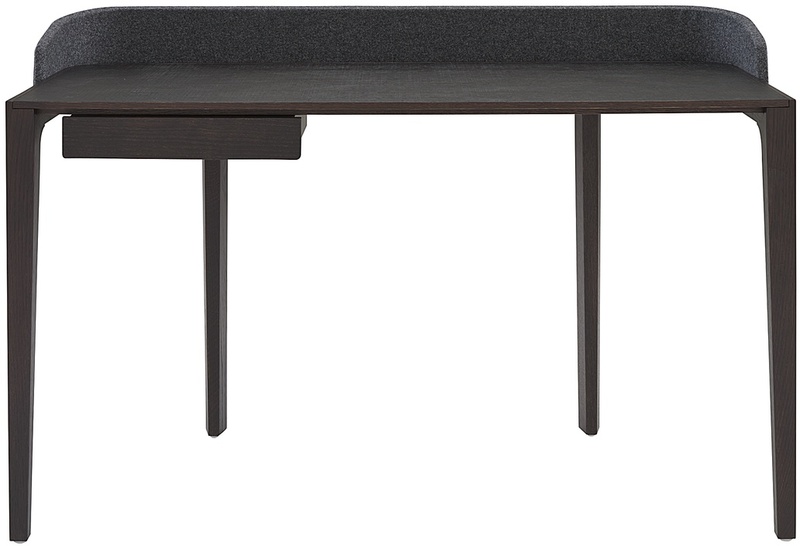 Drawer in anthracite-stained solid oak with interior covered in DIVINA graphite M180.